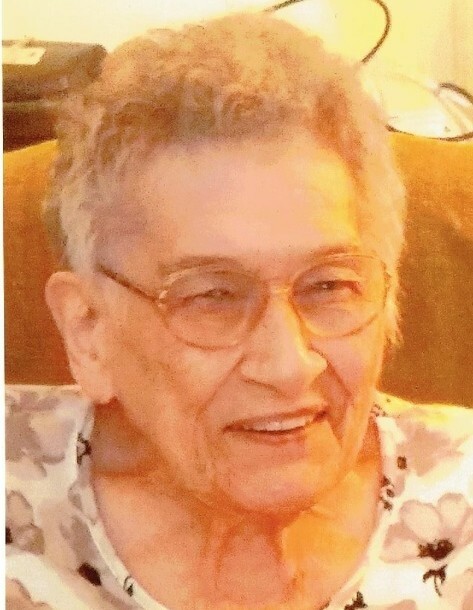 Betty M. Anderson, 93, of Rock Island, passed away Wednesday, November 7, 2018 at UnityPoint Health, Trinity – Rock Island. A Funeral Service for Betty will be 12 Noon Tuesday at the Wheelan-Pressly Funeral Home and Crematory, 201 4th Ave. E, Milan. Visitation will be held one hour prior to services at the funeral home. Burial will be in Aledo Cemetery. Memorials may be made to the family - for a fund to be designated later. Betty was born July 15, 1925 in Millersburg Twp., Mercer Co., IL a daughter of Fletcher and Winnifred (Combs) Rader. She married Donald A. Anderson on January 26, 1946 in Cambridge, IL. Donald passed away on May 6, 1993. Betty worked in the restaurant industry and performed in-home health care services for many years. She was a social being who loved talking to people. She greatly enjoyed engaging in conversation with her friends at Watch Hill Tower, having morning coffee at the Milan McDonalds and enjoying afternoon coffee at Hardees. Betty was a great listener. When she asked someone how they were doing, she genuinely cared and intently awaited a response. In earlier years she enjoyed shopping and other outings with family. Left to cherish Betty’s memory are her children, Donna (Brett) Munson, Milan, Chuck (Kayleen) Anderson, Kingston, IL and Vivian Braughton, Drummonds, TN; grandchildren, Carrie Lynn Anderson, Tony (Lindsey) Munson, Rachel (Jeff) Henderson, Suzy (Joe) Keim and Carrie Leigh (Shane) Moore; 8 great grandchildren, with another “on the way, “ due in January and many other loving family members and friends. She was preceded in death by her husband, Donald; parents, grandson, Michael Wallarab; 2 brothers and 5 sisters.